Welcome to G & M Builders! Established in 1985, G & M Builders is family owned business and has close to 30 years of experience in the construction industry providing Home Remodeling Services. We are located in Aurora and serve homeowners throughout the greater Fox Valley area, including the areas of Aurora, Oswego, St. Charles, Geneva, Batavia, Elburn and Sugar Grove, Illinois. Our remodeling contractors are highly skilled and qualified at custom trim and carpentry. Their careful attention to detail on every single remodel or renovation is one of the factors that truly set G & M Builders apart from our competitors. Our affordable prices are the another asset of G & M Builders that many homeowners appreciate and value! 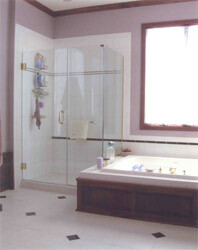 Call 630-546-8558 or contact us online for all your home remodeling needs. Serving Oswego, St. Charles, Geneva, Batavia, Elburn and Sugar Grove, Illinois.